LAST CHANCE EASTER CORSAGES ON SALE UNTIL APRIL 8! READ POST FOR ADDITIONAL DISCOUNT! 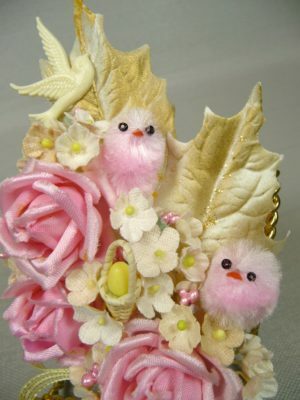 I have a number of Easter corsages currently in the shop and they are all on sale at great prices! Easter comes very early this year – so if you were thinking about getting a corsage to wear or give as a gift – make your purchase this week so you have it in plenty of time… Please note – I am not selling corsages on Ebay this season – so you will need to purchase them through my Etsy shop – click on the link if you don’t have it bookmarked! Here’s a really cute little gift boxed set in a petite size that is suitable for a child or a woman who prefers a smaller corsage.. 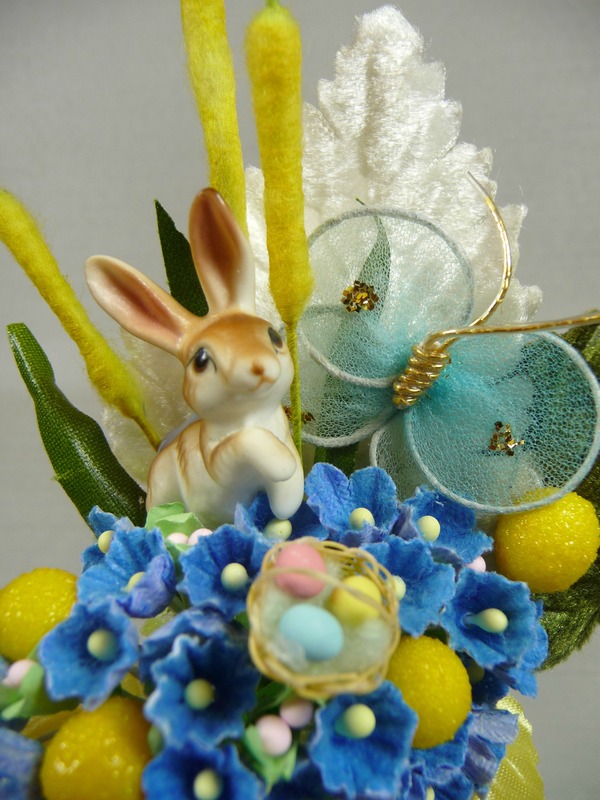 It comes with a matching vintage hankie and a bright blue and yellow theme with a vintage bunny too! Click on the thumbnail to see a larger shot – or go to the shop and see additional photos. 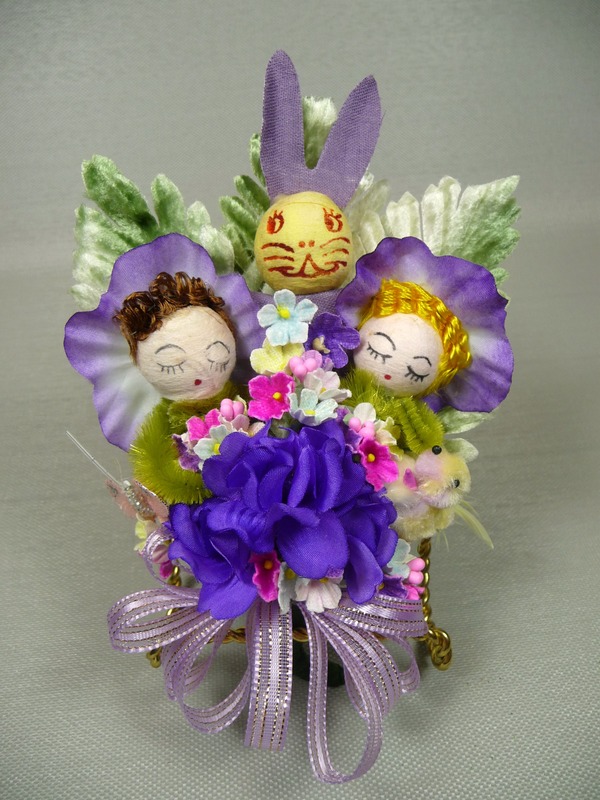 I love this Easter Corsage – I made little flowers with faces from vintage spun cotton heads. A vintage spun cotton Easter Bunny looks over the flowers. It’s made in bright spring colors – and would look great worn or displayed! It’s listed in the shop at a very reduced price – but only until Easter! 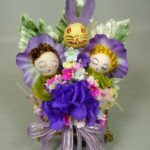 Come on in the shop and see these corsages, and several others! Sale prices are only good through April 8. Use coupon code BLOG10 at check out and you’ll get an additional 10% off sale prices until April 8! Now is a great time to pick up a terrific bargain in the shop because every Easter listing is now ON SALE! 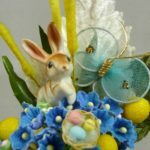 Use Coupon Code BLOG10 when you check out and get 10% OFF EVERY ITEM, INCLUDING EASTER sale prices! Great savings! 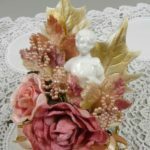 Unique Mother’s Day Gifts – Think Vintage Corsage! Everybody knows that it’s not nice to forget your Mom on Mother’s Day!!! Let’s just say, it’s not nice for her – OR YOU!!! This year, I’ve come up with a couple interesting gift ideas that I know most Moms would just love. 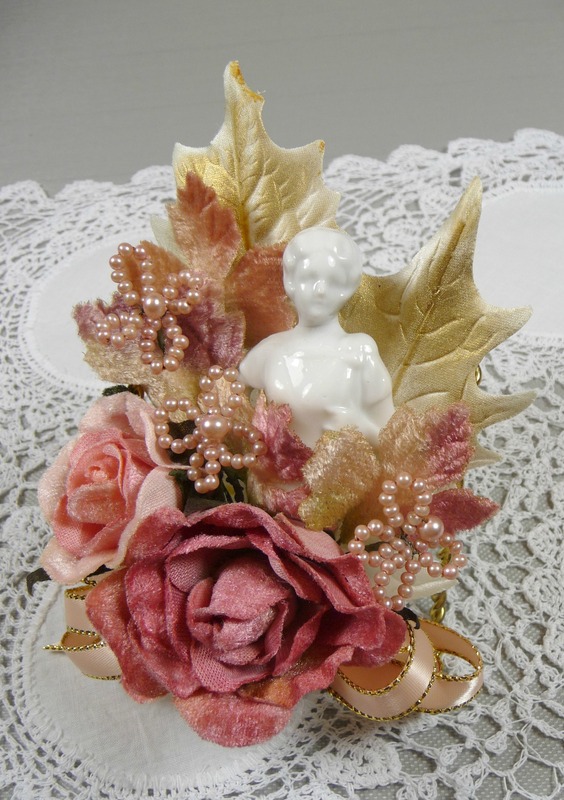 Of course, they involve vintage corsages, but they are not necessarily the same type as the ones I make for other special events and holidays. These are made with vintage doll fragments. The dolls originally came from a factory in Germany that closed long ago. There are thousands of doll fragments in the soil where these factories originally stood. You can buy the fragments on Etsy or Ebay now. They are not exactly cheap, but you could get a small head for around $4 – $5. 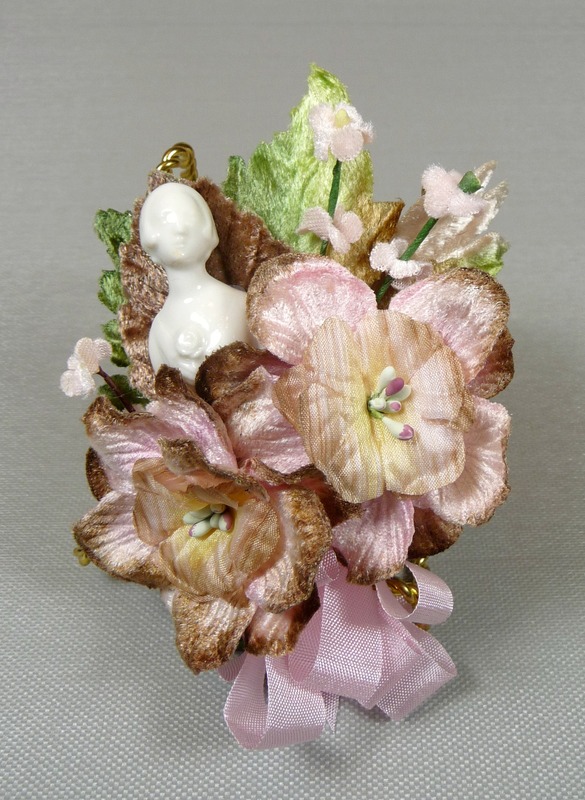 A piece like the one in this corsage that features a head and a torso is considerably more. Depending on condition, they can sell for $15-20 each. Isn’t she beautiful? It’s hard to believe that something so fragile could have survived all these years! You can find babies, little girls and boys, men, and women doll parts. I especially like the “flapper style” women dolls. Here is another similar corsage, it’s actually a bit smaller in size. Instead of all peachy pink, this one is very pale pink with taupe velvet. It’s got a gorgeous doll fragment tucked into the flowers. She has a long stem rose in her hands and she is holding it to her chest. 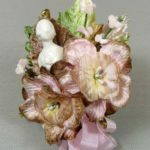 The flowers in this corsage are so pretty – I love the taupe highlights – it would go with a lot of different jackets because it is a neutral color. Click on the thumbnail and check it out. Don’t you think this would be pretty to display – even if Mom doesn’t want to wear it? Many of my customers don’t actually wear their corsages, but display them leaning against small easels – like the ones you can buy at Micheals or a craft shop. I display them like that on my fireplace mantle at Christmas, Easter, and Halloween! Stay tuned to my blog! Soon I’ll show you an incredible tea cup set made just for Moms!